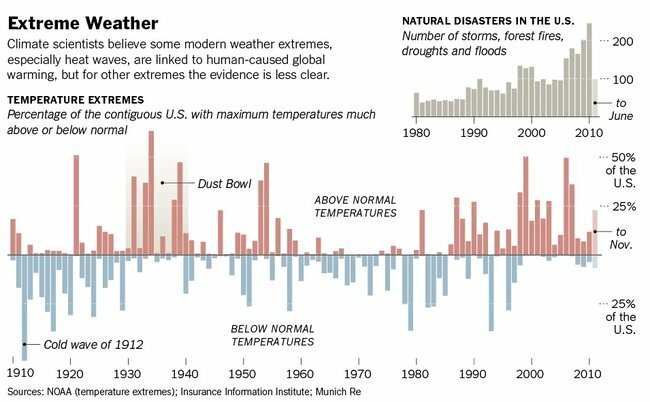 OurEnergyPolicy.org | Where Are We Heading on Climate Science? Despite aggressive requests from the Obama Administration and the Department of Energy’s Office of Science, the House in the most recent appropriations debate made significant efforts to reduce funding for climate-related science. The Senate prevailed in the subsequent negotiations, and nearly all Office of Science programs received modest funding increases. Although it lost its appropriations battle, the House’s efforts to trim the Office of Science’s funding demonstrate its strong skepticism about climate science. Further reflecting its attitudes, the House defunded enforcement of standards for more efficient light bulbs, publicly challenged the validity of climate science, relentlessly pushed the Keystone XL pipeline, attacked President Obama’s efforts to improve CAFE Standards and more. The House efforts occurred at the same time Richard Muller, a prominent former skeptic of global warming, testified that his independent study group had essentially validated the IPCC temperature findings. My questions to the Expert community are these: Where are we heading on the politics and policy of climate change? Is climate related science and R&D heading to the dustbin? Why does climate change seem to have dropped off the media’s radar screen? Is there public will to do something about climate change anymore? Where are we heading on the politics and policy of climate change? Is climate related science and R&D heading to the dustbin? One Response to Where Are We Heading on Climate Science? Seems one of the key challenges for climate change policy supporters has been in developing a message that is easy for voters to grab onto and drive political behavior, while opponents of climate policy have done a very good job with building a message that climate policy is a much more real threat (economic, lost jobs) than climate change (vague, far-away science). Longer term I think this naturally resolves itself and we’ll see policy move back in the direction of trying to address climate change. I think this messaging imbalance has been key in driving the move away from using policy tools to address climate change, and will likely continue to have a significant impact through at least the next election and Congressional cycle. And I think it’s easy to forget that climate change is a really big new idea—to have the level of acceptance for the need to make significant policy (not market driven) changes in the way the world uses resources without a catalyst event (like the oil shocks in the 70s) might actually represent a lot of progress.